In Michigan, we are lucky in that we have a wide variety of luscious greenery to select from to fit our needs and wants for our landscapes. 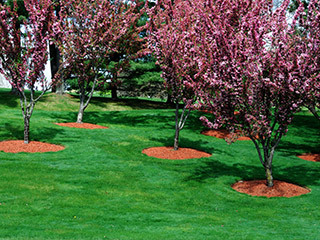 It is important to choose the trees with care, and AK Lawn Care’s extensive horticultural knowledge of different plantings and root systems make us proficient in recommending the proper trees for your property in a custom quote! In these cases, you would need to hire a tree removal company. AK Lawn Care is fully furnished with state of the art equipment to remove the necessary part of the trees safely and efficiently, as well as dispose of all the debris. 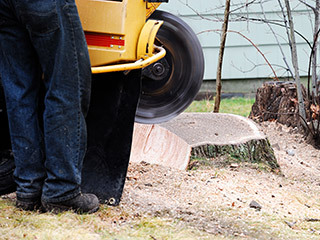 Tree stump protruding from your landscape can be an eye sore or a trip hazard depending on location. 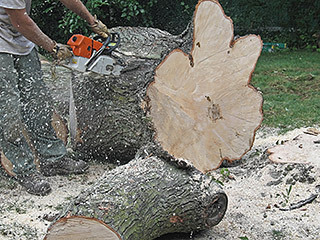 We also offer stump grinding services, and will ensure that the tree trunk is completely removed from the landscape. Whether your scope of work consists of tree removal, planting, stump grinding or a combination, AK Lawn Care is at your service! Please call us today at 734-439-3063 for your tree assessment.